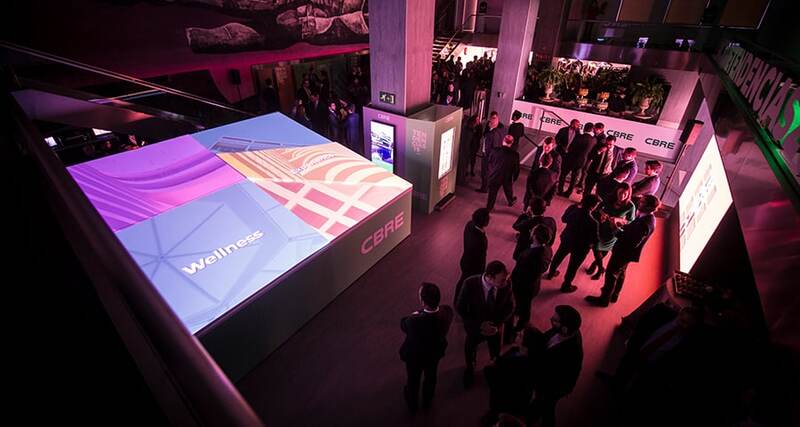 Last week, we hopped the pond and landed in Spain for an action-packed, jamón-fueled, four-day adventure to officially launch our new joint collaboration agreement with CBRE España and participate in their annual trends conference — Tendencias ‘19. We discussed lots of exciting opportunities for our teams to work together, as well as got the scoop on some seismic shifts happening in the world of real estate. Following a deep-dive on supply chain and retail, CEO Brian Taff sat on a panel called People, Property, and Places Revolution alongside Chandra Dhandapani (Chief Digital + Technology Officer, CBRE) and Andrew Kupiec (CEO, Hana). Brian’s focus was on social spaces and how people today have a real desire to interact and connect, even as our lives continue to digitize. He talked about creating experiences that transcend the physical, and customer journeys that are intuitive, immersive, and integrated. He talked about Streetsense’s focus on creating brands people love and places people love to be, and the fact that boundaries are dissolving in both arenas — with digital natives going brick-and-mortar and places like department stores being reborn. In our minds, our clients are the people that ultimately eat at one of our restaurant concepts, buy a gaming device we helped bring to market, stay at a hotel brand we invented, or live in a mixed-use development where we’ve done the creative placemaking. To Streetsense, it’s all about the people.